Have you joined the organizer/planner album trend? Well I am the least organized person really and although I love the little cute daily planners, my life doesn't really work with those. I use a google calendar with notifications because I need to have a sound to actually alert me. LOL! That being said, there are lots of other things that you can keep in these smaller albums to help organize your scrappy world, so I thought I would share what I put together to help me not be such a mess. Here are the kinds of things I am planning to include: I need a place to draw my sketches. I always hand draw them before turning them into a digi image for Sketch Savvy. I also have lots of ideas for pages or page titles that end up on little scraps of paper all over my desk and around my keyboard so I need a section for those types of ideas. 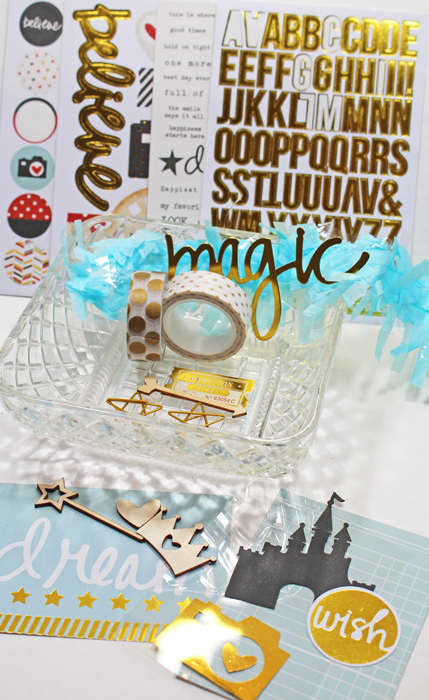 Right now I am working on ideas for National Scrapbook Day at my Disney Scrappers site so that needs a spot. And of course all my little notes from my last big trip to Disney and notes for next time. I will probably include a few photos so it will be cuter. You get the idea. I am sure there will be more sections as I go along. Since there is alot of Disney going on, that's my theme. After shopping at Scraptastic Store, I pulled together some cute things and compiled a list of main supplies with links for you below. Here is my cover. 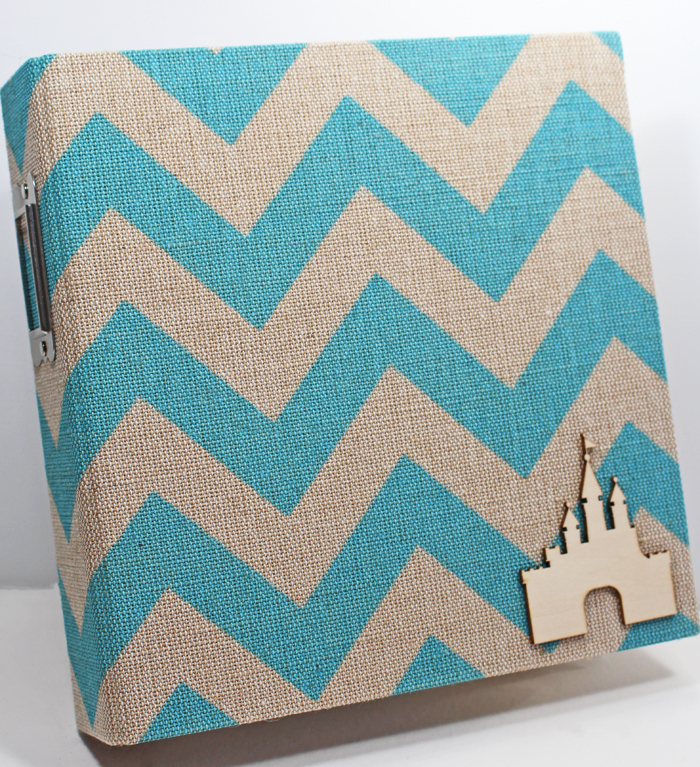 I chose this great 6 x 8" Teal Burlap Binder. It has basic pages for writing, pocket pages for notes and photos, and a large kraft envelope with a closure. I had some clear dividers from one of my older albums that I punched the proper holes in and I am using it for the tabs. Here is a peek inside. I only just started this but it seems to be working out well. Next is a photo of some of the things that I think I will be using, followed by a list of supplies with links. Like the look of this, Susan! 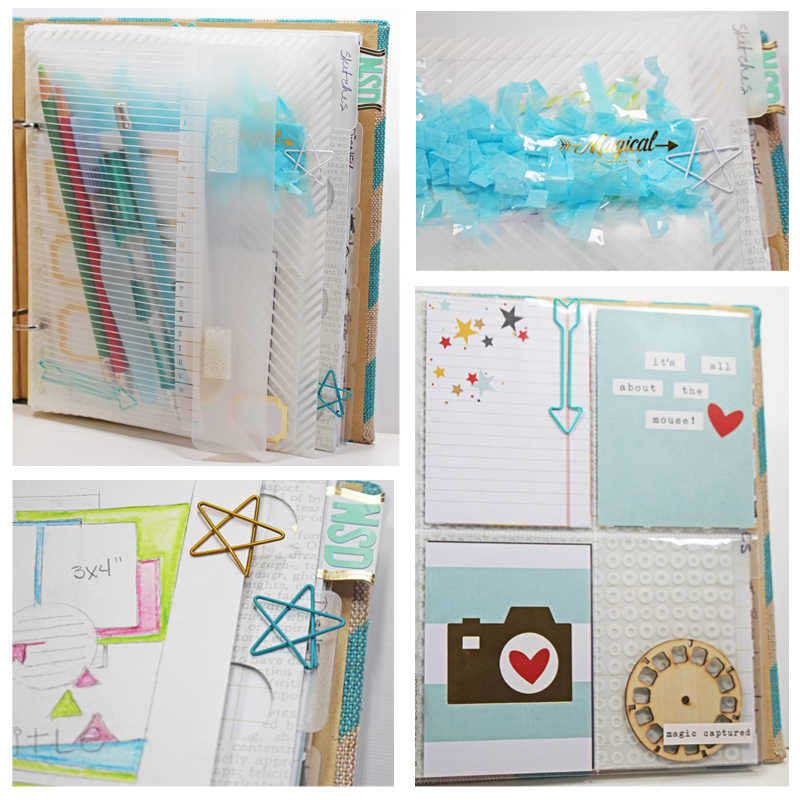 I really like the SNAP binder plan.....seems like it is fairly easy to use, has lots of papers and pieces, and is so much easier to store than a big 12x12. Hope you will share some pages as this album grown!